The LRTS-15 Long Range Thermal Surveillance Scope is the ultimate thermal imager for security operations, boasting an ultra sensitive 384 x 288 microbolometer providing a whopping 110,592 pixel image and a super rugged housing to withstand combat conditions. The LRTS-15 records high resolution thermal video with it’s HUGE 75mm lens and comes with SD card storage and USB video out cabling. ON SALE NOW! No matter what the mission profile is, the LRTS-15 Long Range Thermal Surveillance Scope is going to get the job done. This handheld thermal imager features an amazing 30% better resolution than similar scopes on the market making it the top model for any type of long range observation. 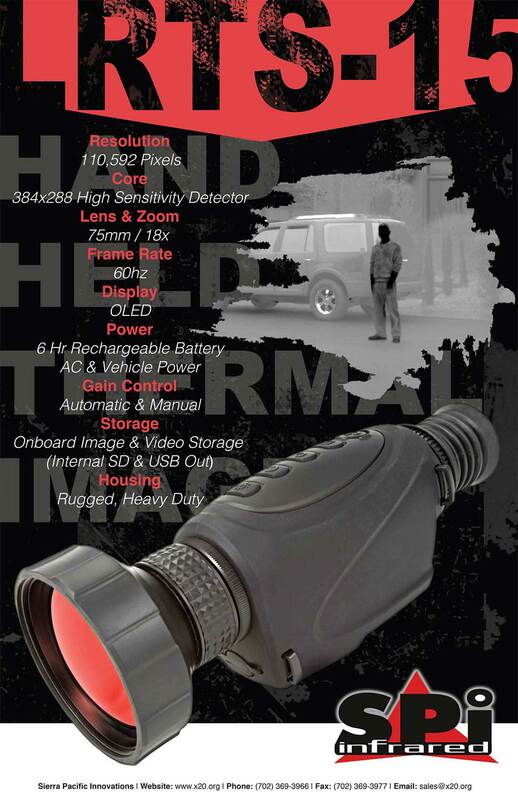 You’ll never have to break cover with this thermal imaging scope, keeping you undetected and well out of harm’s way. The LRTS-15 features an ultra fast germanium lens coupled with an extremely sensitive 384 x 288 uncooled microbolometer and a gigantic 75mm lens, giving you an incredible 18x zoom capability. This means you’ll be able to capture crisp, clear, real time thermal video and images any time of day or night. Take a look at the LRTS-15’s specifications and compare to other leading thermal imaging products out there today, and it’s a no brainer what the most exceptional long range thermal imaging system on the market is. 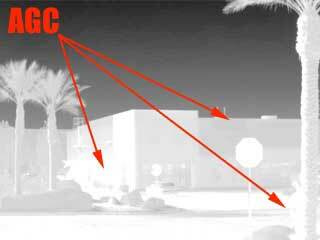 Most common thermal imaging sensors today use the standard 320 x 240 (76,000 pixel) microbolometer, and that’s average. The LRTS-15 uses an amazing 384 x 288 (110,592 pixel) thermal sensor, giving you that much more pixel density (30% more) to provide an even crisper thermal image than average thermal scopes on the market today. SPI uses coated 4.5x zoom 75mm Germanium optics to provide the best stunning high definition images possible. Combined with the internal digital zoom, it all adds up to an amazing 18x zoom capability for exceptional situational awareness & mission effectiveness. The LRTS-15 comes with an internal SD memory card, so no matter what high definition evidence you gather you’ll be able to view it again and distribute to necessary channels. It records high resolution thermal video, so no choppy footage or missing out on target movements. Automatic gain control is usually a standard feature of most thermal imaging scopes. 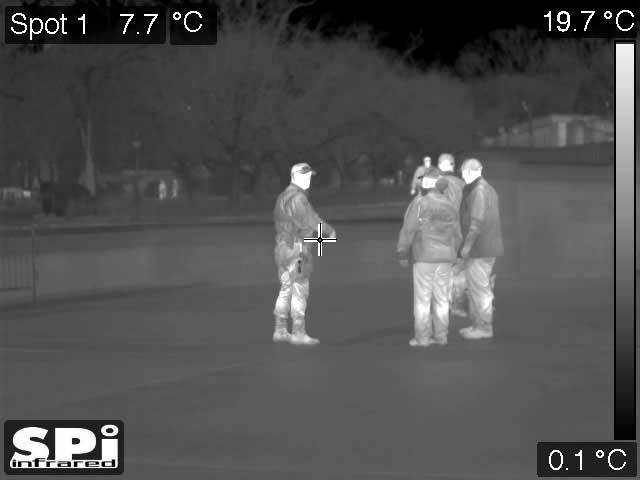 But having the ability to manually control the gain in an image is an invaluable detail on the LRTS-15 not found in other “common” handheld thermal systems. Many times there is too much sky or even heat anomalies can occur, washing out your image. 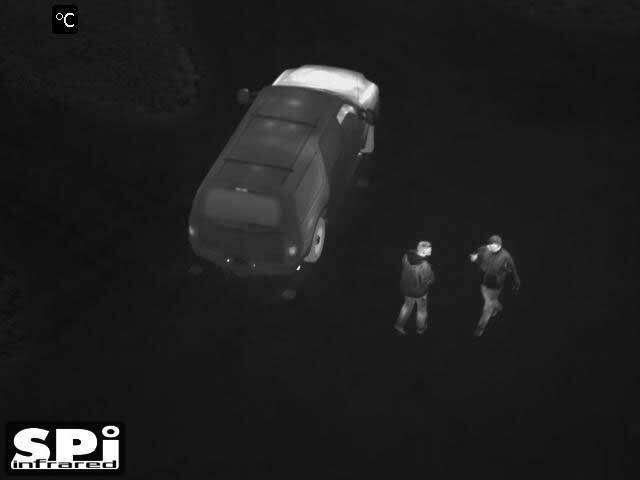 With manual gain control, you can adjust the picture for maximum imaging performance to get exceptional effectiveness from your surveillance footage, ultimate target acquisition & identification. Just look at the photos below to see how much of an improvement manual gain control makes in washed-out visual situations. Auto gain control sometimes does not do the job well enough. Note how washed out the image is. Recognition is poor in this case. With manual gain control, you can adjust your image to tone out too much light and fine tune your images for higher visibility. 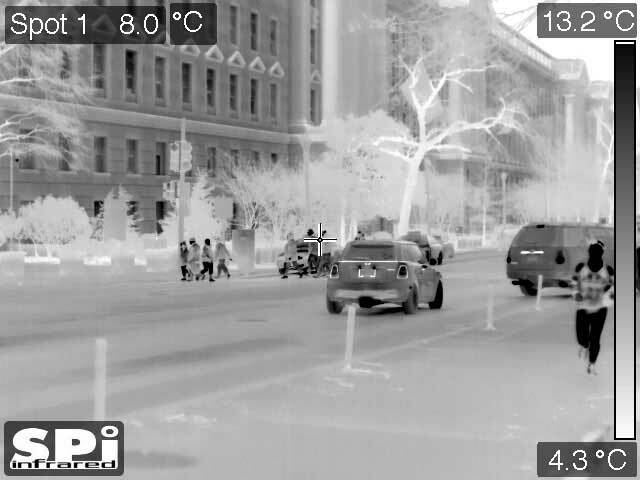 Check out actual thermal surveillance footage from the LRTS-15.